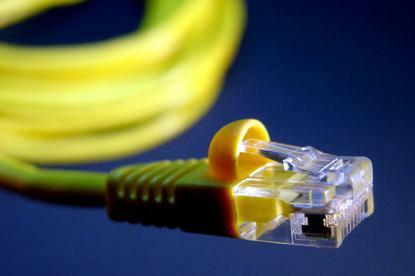 Naked ADSL (or Naked DSL) is a relatively new type of broadband service. Like ADSL2+ broadband Internet, Naked ADSL services are delivered over the copper lines normally used to deliver telephone calls. However, whereas ADSL2+ broadband is tacked on top of an existing phone service, Naked DSL services can be delivered over a "vacant copper pair" — a line that doesn't have a phone service already attached. This means you can have a broadband connection without paying for a landline telephone service. Unless they have family and friends overseas, many people don't use their fixed line telephone at home very often. However, even if you don't make many calls you are still paying a rental fee on the telephone line, often as a base monthly charge included with other features like call waiting, forwarding or voicemail. At its cheapest, you're looking at $20.95 per month on Telstra's HomeLine Budget plan, and that's only if you use BigPond as your Internet service provider. If you use a different ISP (such as iiNet), Telstra will charge you $27.95 as the minimum line rental. Naked ADSL means you no longer have to pay line rental, as the Internet service can exist on a telephone line that doesn't have a phone service attached. The line rental fee isn't completely gone: ISPs are still charged by Telstra for using the copper line to your house, and they often pass this cost onto consumers within the price of the Naked ADSL plan. However, even taking this into account, Naked ADSL often works out cheaper than a traditional broadband plan with a typical Telstra phone line rental fee. If you still want to make telephone calls from a home phone, many Naked ADSL ISPs also offer a voice over Internet protocol (VoIP) service. VoIP calls are much cheaper than regular landline calls — especially if you are calling overseas — and you can even use your existing telephone by connecting to your router through a small adapter. Many ISPs offer a VoIP account for a small fee (or for free) with a Naked ADSL service. You can also use a third-party, software-based Internet telephony service, such as Skype. There are a few technical disadvantages to Naked ADSL. For instance, you can't make telephone calls without power. As well as disconnecting you from the Internet, power loss means your VoIP connection will cease to function, which means you won't be able to make 000 emergency calls. This often isn't seen as a major drawback these days because most people own mobile phones. In addition, many people tend to have cordless phones that rely on a powered base station anyway, and so can't be used in the event of a blackout. Ensure that you have alternate means of communication in such a situation before considering a Naked ADSL service. Because Naked ADSL uses a phone line without a dial tone, you can't use a regular fax machine (which needs a dial tone). Additionally, faxes cannot be sent over VoIP reliably due to data compression. Some VoIP providers, such as Engin, have trialled a fax service over VoIP, but this has proved to be unreliable. If your business still relies on faxes, and you also want to make the switch to Naked ADSL and VoIP, then you can look into a Web-based fax service (such as Utbox) that sends faxes for you and also allows you to receive them via e-mail. Naked DSL isn't as widely available as standard ADSL2+. A key requirement of the service is that your chosen ISP has its own DSLAMs (digital subscriber line multiplexer — they facilitate fast ADSL2+ speeds) installed at your local telephone exchange. Though ISPs can resell ADSL2+ over Telstra's own DSLAMs, they can't offer Naked DSL without their own equipment. Your options then are to choose another ISP that offers Naked ADSL in your area or to get a regular broadband account and pay a line rental fee to Telstra. Getting Naked ADSL can also be difficult if you live in a large apartment complex (which is sometimes referred to as a multiple dwelling unit — or MDU). While ISPs have no problem determining if standalone homes and small blocks of units will be able to get a Naked ADSL service, units with a vacant copper pair in large apartment blocks can't be easily connected. This is because in some cases the ISP can't accurately determine the exchange you are on and also can't verify whether your vacant copper pair is attached to a main distribution frame (MDF) in your building. Some ISPs might refuse your connection unless you can guarantee them that you have a vacant copper pair that runs from your unit all the way to the MDF. In some cases, the ISP can perform these checks itself, but be sure you understand the terms and conditions and whether any extra fees will be involved. Sometimes ISPs recommend that you first get a phone service enabled on your vacant copper pair before applying for Naked ADSL, as this makes it much easier for the ISP to enable the Naked ADSL service. The drawback here is that you have to pay Telstra to put a phone service on the line, which can cost up to $130. If no copper wire connection exists between your apartment and the MDF, then you will need to notify the body corporate of the problem and proceed from there. If you are on a Pair Gain System (PGS), in which the telephone line is split to go to different dwellings, this won't support a Naked ADSL service. A check on the line can be carried out to see if a procedure called 'transposition' can be performed, which removes the pair gain and connects your dwelling directly to the telephone exchange. Some ISPs can initiate this process for you, which can take six to eight weeks and won't cost anything. It's not always possible to be removed from a PGS. This is equally true of homes connected to a Remote Integrated Multiplexer (RIM), which is often used in areas where there is no existing copper line, or if a copper line cannot be physically attached to the home. POTS is an acronym for Plain Old Telephone System, while PSTN means Public Switched Telephone Network. Both refer to the traditional system of delivering telephone services over copper lines — the system that most have been using for decades. Voice over Internet protocol (VoIP) provides telephony services over an Internet connection. It is often a cheaper way to make telephone calls than PSTN or mobile telephony — particularly for international calls — but currently has issues with emergency calls and delivering faxes. Each local telephone exchange contains multiple DSLAMs (digital subscriber line multiplexers) which connect residential telephone lines to an Internet service provider's greater network. Originally, ISPs had to rent lines from Telstra and Optus in order to resell Internet services, but providers have since installed their own DSLAMs, allowing them to sell cheaper ADSL2+ plans and offer Naked DSL. An analog telephone adapter (ATA) allows you to connect any traditional telephone to an Internet router for VoIP telephony. These are often small devices that look similar to ADSL filters. Which ISPs provide Naked ADSL?